Make no mistake. This book will break your heart, but also, it’s completely worth it. Narrated by Griffin, who is grieving his ex-boyfriend Theo, History is All You Left Me is a smart and thoroughly satisfying examination of love and grief. As Griffin tries to navigate his feelings about Theo’s death, the reader is taken on a journey between Griffin’s past with Theo and the present without him. Is it a “feel-good” sort of book? Not really. But it will make you feel *all* the feelings. What I loved the most about this book, apart from the jealousy-inducing prose was the fact that there weren’t any “villains” in this story. Although Griffin might see Jackson (Theo’s boyfriend) as a nemesis of sorts, as readers we get to know him in such a way that he is likeable. Further complicating the narrative is the fact that Griffin begins to learn that in some ways he and Jackson are similar. The book begins with Griffin declaring, “You’re alive in alternate universes, Theo, but I live in the real world, where this morning you’re having an open-casket funeral,” making it clear from the get-go that this story is more confessional than anything else. What I like about this narrative frame is the semi-epistolary feel that Griffin’s asides to Theo bring to the story. On one level, we have a story that follows Griffin as he grudgingly befriends Jackson while we are also exposed to the deeper (one-sided) dialogue between Griffin and Theo. This is a clever way to look at grief, because it feels like Silvera is trying to capture that feeling of losing someone, but not wanting to let go of them fully by keeping Theo’s presence within the narrative. Is there a good way to feel heartbroken? I’m not sure, but if there is, History is All You Left Me has most definitely accomplished that. There are plenty of light moments that break the tension, of course, but also even though the ending is still somewhat sad it feels honest. Without writing any spoilers, the reveals that come at the end of Griffin’s journey through his own grief and struggles with mental illness felt intense and heartbreaking, but also deeply real. I spent most of the book wishing that Theo would somehow come back to life and even though Griffin does find some closure, I was still left feeling heartbroken for him. Prior to discovering History is All You Left Me, I didn’t think I would ever want to read a book about grief. But now, I would absolutely recommend this book to anyone. Silvera’s language is beautiful; his message is unforgettable. What are your favourite books about grief? Sometimes, short stories get a bad rap. In school, we read those dark and moody stories about women who claw at yellow wallpaper and men who invariably always seem to be plotting some sort of murder-most-foul. While there are many fantastic short story collections out there, Hell Going is among the best. 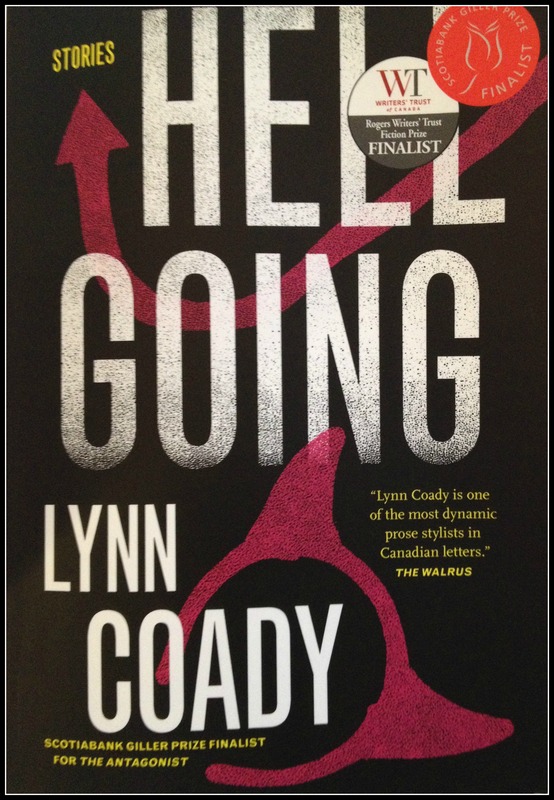 Irreverent and precise, Lynn Coady’s nine new stories are sure to dazzle readers at every turn. Ranging from a nun charged with helping an anorexic girl eat again to the perspective of an alcoholic reporter, Coady captures the humour in even the darkest situations. Her descriptions are quirky, adding a playful tone to the narrative style. What I liked the most was the way Lynn Coady plays with structure in every story. In “Wireless,” she uses italics and a lack of quotation marks to denote a character’s drunken state. In other stories, the reader must work to piece together the narrative, because it skips back and forth, keeping the momentum zipping along. While some may find that the endings do not offer the reader a big surprise, they always leave the reader with something interesting to think about. In one word, Hell Going is contemplative. It challenges the reader to connect with characters that might at first seem odious, but like an onion (to borrow from Shrek) they are multi-layered. This, I think, is the fascinating part of Coady’s stories. 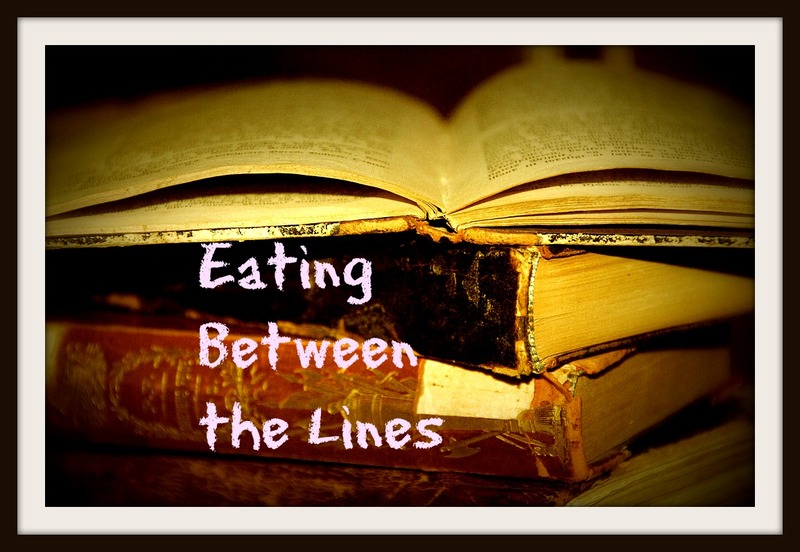 She opens up several worlds and allows the reader to explore unusual situations. Even if you don’t traditionally read short stories, the quick and witty narrative will draw readers into the unusual and deeply fascinating stories. Strain your pumpkin puree to get rid of any extra moisture—this can be done with a strainer over a bowl or by using cheesecloth, or paper towel (if extra thick). Combine in a medium bowl: pumpkin puree, milk, water. Stir until fully integrated. 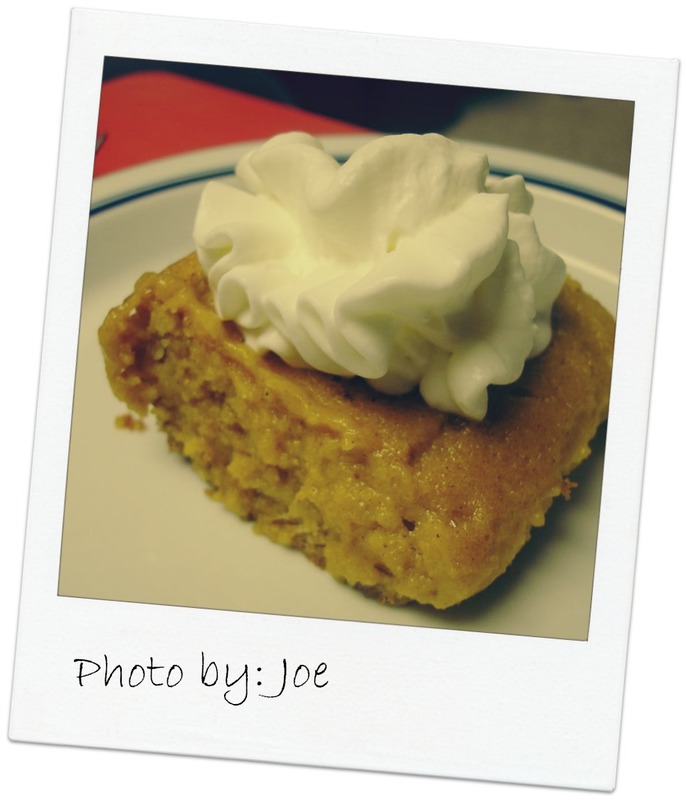 In a separate bowl, whisk together flour, brown sugar, baking powder, cinnamon, salt and nutmeg in a large bowl. Add the cubes of butter until they are nicely ground up. Combine pumpkin mixture with dry ingredients and stir until smooth (ish). Space dough approximately 2 inches apart on your buttered baking sheet (about ¼ cup of dough per shortcake). Devour awesome shortcakes with fantastic short stories! Going Home Again is equal parts a journey across the world—from Spain to Toronto—as it is an odyssey of Charlie Bellerose’s memories. What starts out as a murder quickly dissolves into a trip through the attic of Charlie’s mind, where he dredges up ghosts and old lovers past. 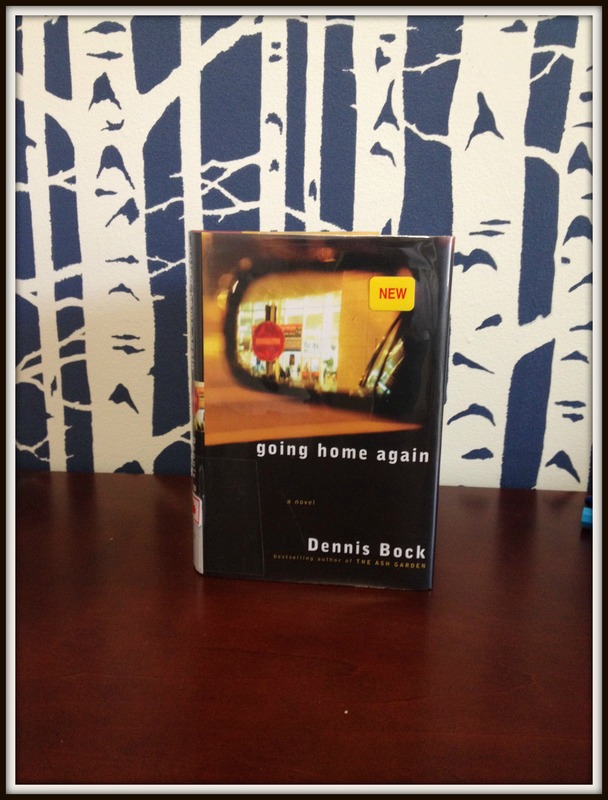 If it weren’t for Dennis’ Bock’s well-developed prose or his ability to draw me in through an easy, conversational narrative tone I might have set the book down. Going Home Again evokes the question: can we ever go home? Perhaps. The real question is this: is this a place that readers will want to go? In many ways Going Home Again has the feeling of a stream of conscious journal, with the added benefit of clean, polished prose. The story follows Charlie, who is recently divorced, to Toronto and spans across a year as he tries to rebuild his life across the world from his lovable daughter Ava and his ex-wife Isabel. When Charlie delves into his past love affair with Holly, there is the sense that the original vein of the narrative has slipped away and entirely new story is beginning. Luckily, this jarring departure from a linear narrative only serves to deepen curiosity, as the pacing is quick and lively. Despite the sometimes-meandering plot, I was captivated by Bock’s attention to detail in his scenes. Describing the sun in Madrid as “orange sherbet,” or the way he establishes so clearly the changing seasons in Toronto make it easy to step into the setting of the story. Charlie’s characterization is comprehensive and though we don’t learn much about the supporting characters, Charlie’s love of his daughter and brother as well as the struggles that he faces makes him relatable—and readable. “Instead of stepping back into the safety of the past, I stepped out onto he streets…” says Charlie in an early scene. I’m not sure that I believe him, given that the journey we take with Charlie is not only back home to Canada, but also into the realm of memory. For some readers—notably those who get frustrated with an overload of exposition—this book will be a challenge. If you are like me, and stubbornly read through the frustration, Going Home Again does prove itself to be humorous, endearing and a journey worth taking. 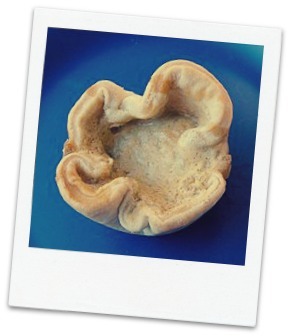 …Since Charlie goes home to Canada, I thought my favourite butter tart recipe might be in order (since butter tarts are a pretty Canadian dessert). 1. If you have already made pie crust or bought pre-packaged pastry, roll your pastry out and fit it into muffin tins. (If you don’t have a recipe for pastry, see below for my favourite pie crust recipe. 2. Mix together butter, brown sugar, salt and corn syrup in a small bowl. (Note: if your butter is still cold, it is best to let it sit on the counter for a few minutes to let it soften). 3. Add egg and vanilla to brown sugar mixture. 4. Pour yummy butter tart mixture into tart shells equally. 5. Bake at 400 F for 15-20 minutes or until the filling is browned and bubbling. If you are like me and enjoy runny butter tarts, be sure to take them out right at 15 minutes. Speculative fiction that deals with apocalyptic futures always generates a lot of questions. In a way, it’s part of the pleasure of reading those end-of-the-world books, because it offers readers a chance to consider what the not so distant future may be like (well, sort of). I’ve read a fair few of these stories, so I was curious to see how Shaunta Grimes would create a new twist on this topic. Despite the intricately laid out plot and excellent characterization, there were some ways that “Viral Nation” felt like there were a few too many…time loops that left me more confused than intrigued. While the plot begins with the end of a plague-like viral outbreak in the US, the real story centers on Clover, a sixteen-year-old autistic girl who is smart and determined to go to the Academy and her brother West who is wrongfully accused of murdering his High School crush. In this futuristic world, people are forced to take an injection each day to ward off the virus. As per usual in the YA apocalyptic world, parents are scarce (and most often intimidating), as are resources. Grimes puts a lot of good ideas into this post-apocalyptic Reno, such as the use of time travel, catching criminals before crimes are committed and the idea of Time Mariners (who are the workers permitted to conduct missions in the future). However, I was curious to know more about the time travel and would have liked to see it be more instrumental in the final outcomes. I mean, hey, if you had a portal to the future wouldn’t you kind of want to check it out just a bit? While some of the rules of this world were outlined towards the end (i.e. only autistic people can time travel and then only for half an hour), I wanted to see these rules addressed. Clover’s character was the most likeable. Her quirky blend of sometimes blurting out the wrong things in social situations as well as her curiosity helped to draw me further into the narrative. Her character shows the most growth throughout the novel, which made for a more solid story-arc. Clover and West’s father’s narrative leaves much to be desired in the way of growth or plot development. Although his struggle was clear, whether or not he came to grips with this difficulty was ambiguous. I enjoyed the banter between West and Clover; the budding romance between Jude and Clover has potential for future installments in this series, but only served to muddy up the already meandering plot. Despite some potential, the series has flaws. If you are patient and love to read stories about post-apocalyptic worlds, this is an interesting read with some intricate details. I can’t say that the payout of this book is great, because it’s not. In time, we’ll have to look to the future to see if this series reveals more answers in the coming installments. Grimes leaves a lot of holes in this space-time-continuum with “Viral Nation,” which makes me wonder: how much intrigue is too much? *Thanks NetGalley & Penguin Group for the Advance Reader Copy! It’s no secret that I’m an avid reader of folktales. At home, my shelves are full of new and old versions of Brothers Grimm and countless anthologies of Irish and English tales. So when I heard about “The Snow Child,” I knew that this was a book I had to read. What makes Eowyn Ivey’s “The Snow Child” charming is its ability to retain the old world feel of a classic fairy story while also connecting her characters and setting to a modern reality. 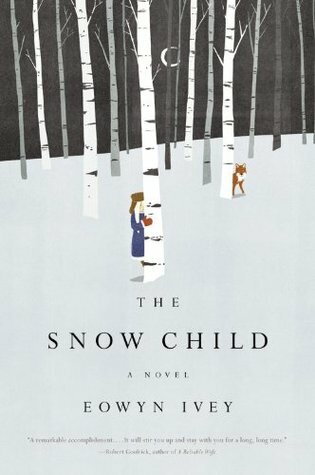 Everything about “The Snow Child” is exciting and magical, particularly because it is set in the Alaskan wilderness of the 1920’s. Ivey captures the landscape perfectly with her precise yet delicate prose and despite the bleak setting, the world that she draws readers into is magical. Magic is everywhere in this story: in the first snowfall, in the animals who visit Jack and Mabel and in the people that they meet. Although the basis for this story is built around a Russian fairytale, Ivey does an excellent job of leading the reader into the magic of the story gradually. For most of the book I found myself wondering whether Faina, the snow child, was truly magical or whether Jack and Mabel were in fact going crazy. The subtlety in which Ivey introduces us to Faina and her strange existence creates a sort of mystery that beguiles the reader and keeps them wanting to know the truth. While I am not usually drawn to tragic stories—and this one has an element of tragedy that is apparent from the beginning—Ivey drew me in regardless with her knack for creating whimsy. When we first meet Jack and Mabel, their farm is failing, they are starving and it seems as though there is no hope for them in the wilderness. As we grow to learn more about Faina alongside Jack and Mabel, it becomes clear that the true magic lies in the connections that are made between the friends and families that are created as a result of Faina’s appearance. In particular, the characters in this piece are well rounded and interesting to read about. Jack and Mabel’s neighbors are quirky and realistic, which goes a long way to lighten the occasional somber patch of plot. Apart from creating a unique approach to a modern fairytale, Ivey has a unique stylistic approach to signal to the reader that something magical is afoot: each time that Faina appears in a scene she loses the quotation marks, which gives the narrative a dream-like quality. Perhaps this was meant to create a contrast between the magic that Faina brings when she appears and the reality that exists when she is gone. In any case, I think it is an inventive way to signal a shift in tone for readers to keep the flow of the narrative well paced. As I have mentioned before, even though early in the story readers are aware that something tragic is going to happen, Ivey does a good job of creating suspense. We are left wondering when will it happen? How? Thanks to a few well-placed discussions between characters, we begin to wonder if the event will happen at all. Sometimes, re-writes are criticized for borrowing too heavily from their sources and not adding enough “flair” to the story that they are trying to re-tell. Over the years, I have read many stories that seem more like an unfortunate bout of deja-vu, but “The Snow Child” is not one of them. Where other re-tellings may leave something to be desired, Eowyn Ivey cultivates mystery and tragedy and in the process achieves a new kind of fairytale that is as unique as a snowflake, with prose that sparkles. Dance of Shadows drew me in because it featured the New York Ballet Academy. Call me a sucker for a good dance narrative, but I have always been fascinated with the idea of being a ballerina. That being said, I can’t say that I fell as completely in love with the plot as I did with the notion of tutus and slippers. The mystery centers on Vanessa, whose sister disappeared from the NYBA three years ago under suspicious circumstances. Vanessa, who is also a talented ballerina, gets accepted to the dance school as a way to solve the mystery of her sister’s disappearance. It is clear from the beginning that Vanessa is not entirely passionate about dance, which makes it somewhat difficult to believe that she would make such effort to be accepted into an elite dance school such as NYBA just to see what happened to her sister. In sharp contrast to Vanessa’s sometimes lackluster interest in her amazing opportunity was the supporting cast of characters. I enjoyed the interaction between Vanessa and her friends, as the dialogue was quick albeit occasionally a little odd. At times, the plot unfurled a bit too slowly for my tastes. I found myself wondering why Vanessa had not yet discovered a clue that seemed obvious from a much earlier point in the novel. In particular, the villain seemed clear from the beginning and while some intentions were not fully divulged, a big part of the later reveal is described in the prologue. This is not to say that Dance of Shadows isn’t a good story. I found Black’s descriptions of the rehearsals and the ways that ballerinas live and work to be fascinating and detailed. Furthermore, the final chapters were fast-paced, exciting and immersed the reader more fully in the paranormal aspect of the story. Without divulging any secrets, Yelena Black more fully showcases her ability to set a chilling mood in the final scene when she writes about the dimly lit basement studio, its scorched floors and the eerie dance that follows. 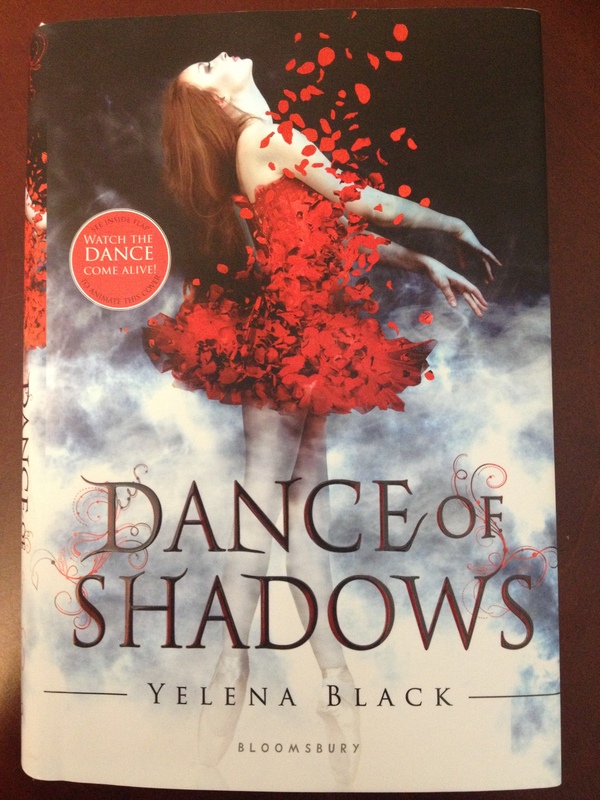 Despite some lackluster elements to the story, Dance of Shadows has some fascinating elements that are worth a read. In the literary world, we might say that the plot was laid out with all of the right details, but none of the suspense. In the dance world, I would imagine they might say that the footwork is in place, but the timing is off. When I think of the typical zombie narrative, it’s the blood, the screams and a hoard of lurching dead bodies seeking to entrap and devour that I recognize as the key elements of the zombie genre. Feed has all of these characteristics–don’t get me wrong. But what sets Mira Grant’s story aside from others is the sharp dialogue, lovable characters and a level of intrigue rivaling the best conspiracy stories on the market. In a word, Grant’s zombie narrative is smart. Feed is told from the perspective of Georgia Mason, who is determined to tell the truth. 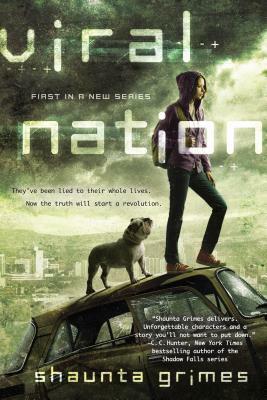 Centering on a group of bloggers in a post-apocalyptic zombie future, a delicious conspiracy unfolds when Georgia and Shaun Mason are invited to follow a Senator on his political campaign. The stakes rise as “accidents” start happening and people start dying. Interspersed with a detailed history of how the zombie virus came into being, Georgia and Shaun discover just how far the conspiracy goes. Using a zombie virus to comment on terrorism and bio-warfare is clever; Grant’s research into virology is extensive and fascinating. It’s not surprising that her love of epidemiology and zombie-lore fed (excuse the pun) into a story that sought to find a better answer for the “why” and the “how” of zombies. Aside from the intrigue, the characters are entirely lovable. Georgia & Shaun form a “bromance” of sorts where other stories might have inserted a love interest into the action, Grant chose a unique approach. The sibling’s fierce loyalty for each other is refreshing. Paired with witty and fast-paced dialogue, it makes Feed a snappy read. Lots of reviewers mention the tedious nature of repeating the blood testing scenes as well as a few other moments. Although there are some scenes that do repeat themselves, it does little to slow the pace of the novel. In some ways these moments (such as the blood testing in particular) are a strategic build of suspense. Every time Georgia and Shaun take the blood tests, you have to wonder: are they going to be infected? Suspense is built through dialogue too. Every time Georgia and Shaun say “One…” “Two…” “Three…” (a count down to the test) the implied threat of impending zombification builds. If you love zombies, Grant’s got you covered. If you love conspiracy, a well-built futuristic world and an intricate plot, this is the book for you. 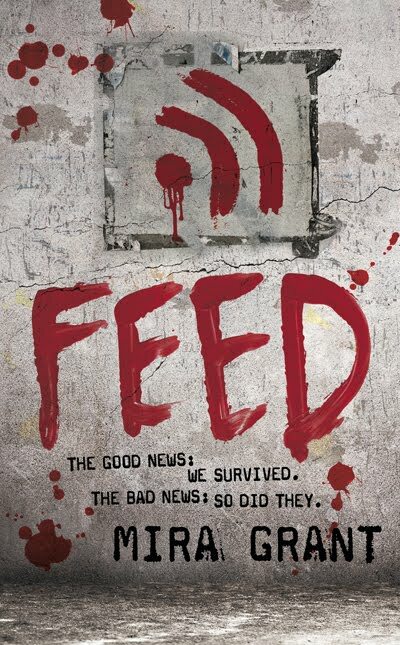 Readers who are looking for an inventive twist on the zombie story will love Feed, because this story doesn’t just have guts, it also has brains.